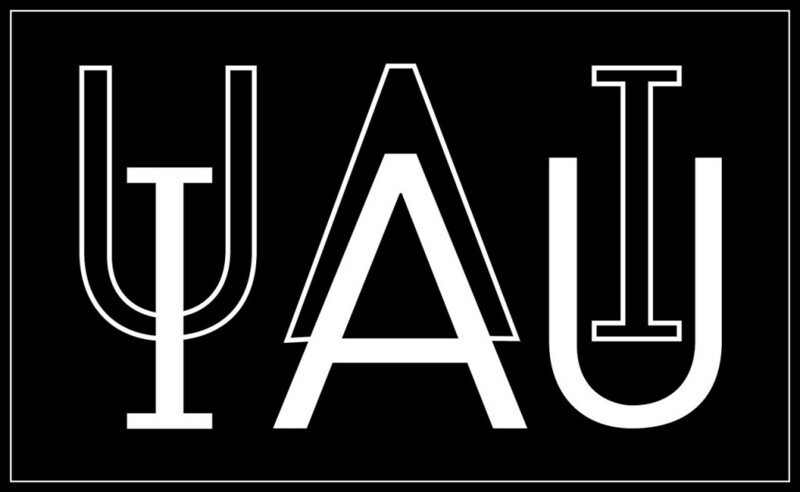 The International Astronomical Union (IAU) was founded in 1919 to “promote and safeguard astronomy … and to develop it through international cooperation.” There are currently 10,155 individual members in 90 countries. The IAU is funded through the adhering countries. Almost all of the funds supplied from the dues are used for the development of astronomy. One of the 40 IAU “commissions,” or interest groups, is Commission 46, formerly called The Teaching of Astronomy and more recently, at the 2000 General Assembly, renamed Astronomy Education and Development. It is the only commission that deals exclusively with astronomy education; a previous Commission 38 (Exchange of Astronomers), which allocated travel grants to astronomers who needed them, and a Working Group on the Worldwide Development of Astronomy, have been absorbed by Commission 46. The Commission’s mandate is “to further the development and improvement of astronomy education at all levels, throughout the world.” In general, the Commission works with other scientific and educational organizations to promote astronomy education and development; through the National Liaisons to the Commission, it promotes astronomy education in the countries that adhere to the IAU; and it encourages all programs and projects that can help to fulfill its mandate. The Commission holds business sessions at each IAU General Assembly. Within the format of the IAU General Assemblies, the Commission organizes or co-sponsors major sessions on education-related topics, such as a Special Session held at the 2003 General Assembly in Sydney, Australia, on which a book is now in press: Teaching and Learning Astronomy: Effective Strategies for Educators Worldwide, edited by John R. Percy and Jay M. Pasachoff (Cambridge University Press, 2005). The Commission has also organized two major conferences on astronomy education, one in the United states in 1988 and the second in the United Kingdom in 1996. Jay M. Pasachoff and John R. Percy, eds., 1990, The Teaching of Astronomy, Proceedings of IAU Colloquium 105 (Williamstown), Cambridge University Press. L. Gouguenheim, D. McNally, and J. R. Percy, eds., 1998, New Trends in Astronomy Teaching, Proceedings of IAU Colloquium 162 (London), Cambridge University Press. Another astronomy conference was: John Percy, ed., 1996, Astronomy Education: Current Developments, Future Coordination, Astronomical Society of the Pacific Conference Series, vol. 89. For three decades, the Commission has sponsored one-day workshops for local schoolteachers, as part of every IAU General Assembly, and as part of several IAU regional meetings. Immediately after the conference which is described in the forthcoming book, a very successful teachers` workshop was held in Sydney, organized by Nicholas Lomb, Sydney Observatory. Until recently, Commission 46 was concerned primarily with tertiary (university-level) education and beyond, but several of its activities have an impact on school-level and public education. – PG for exchanges of books, journals, materials. The role of this PG is to visit countries with some astronomical expertise at tertiary (i.e., post high school) level, which are probably not IAU member countries, but which would welcome some development of their capabilities in teaching, and/or research, in astronomy. For example, as a result of a visit this year, Mongolia might join the IAU and has received advice on broadening their astronomy programs. TAD is intended to assist a country with currently little astronomy which wants to significantly enhance its astronomy education. TAD operates on the basis of a proposal from a professional astronomy organization or on the basis of a contract between the IAU and an academic institution, usually a university. 4. professional preparations needed as a prerequisite for plans to offer astronomy in schools and for the public. TAD can provide advice about education of school teachers, but not financial support. The training of school teachers and the actual performance of school teaching and public outreach is considered to be part of the national resources. ISYA seeks the participation of young astronomers mainly, but not exclusively, from astronomically developing countries. Participants should generally have finished first-degree studies. ISYA seeks to broaden the participants perspective on astronomy by lectures from an international faculty on selected topics of astronomy, seminars, practical exercises and observations, and exchange of experiences. The most recent ISYA programs were held in Morocco and in Puebla, Mexico. The PG makes travel grants to qualified individuals in order to enable them to visit institutions abroad where they may interact with the intellectual life and participate in the research of the host institution. It is the objective of the program that astronomy in the home country be enriched after the applicant returns. The PG publishes, both on the IAU website and in IAU Information Bulletins, all the information needed to apply for a grant under the IAU Exchange of Astronomers program. 2. to transmit to the educators of his/her own country the insights that they might glean from the reports and conferences. This Program Group works on activities co-sponsored by UNESCO, COSPAR, the UN, ICSU, etc., and carries out interactions with other international organizations. Timely advice for countries that will experience a solar eclipse. We maintain a Website at http://www.eclipses.info and consult with local astronomers and with newspapers. We were also active for the transit of Venus, and we maintain a Website at http://www.transitofvenus.info. For further information on Program Groups, see the section “Program Groups”.